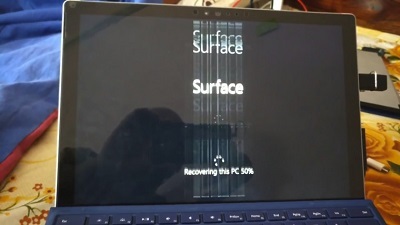 We’ve been hearing a lot about the problems with the flickering screens of the Surface Pro 4 tablet and now it seems that Microsoft is ready to take action about it. Not only are they replacing faulty units, but also doing so even for units that are out of warranty. It was back in February when we learned that people were putting their Surface Pro 4 devices on ice, as a workaround to solve the devices’ problems. Putting the tablet in the freezer seemed to fix the screen flicker. It was only temporary, as 10 minutes in the fridge meant about half an hour of use without problems. Microsoft decided that the tons of forum threads and Reddit complaints were enough and they’re acting on it. Microsoft decided that some units are simply not repairable and they’re going to replace units, even if they’re out of warranty. Still, no longer than 3 years have to have passed since the purchase. If you already spent money on repairs, you will be reimbursed. Of course, you will get a new Surface Pro 4 as a replacement, not the new last year model, as you probably imagined. Full details can be found on OUR FORUM.